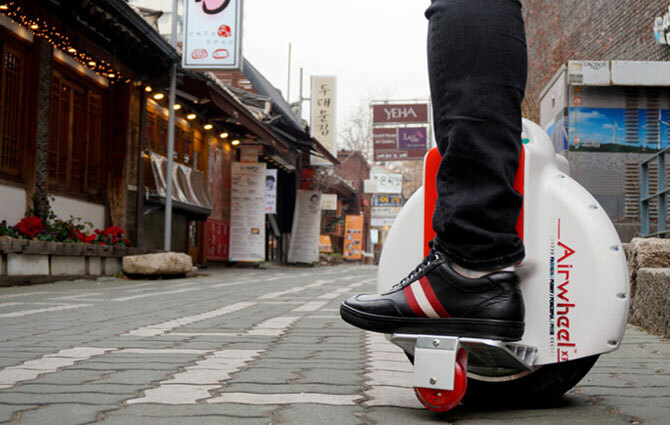 AirWheel electric unicycles are among the most popular self-balancing devices these days. Here we review and compare some of the features and options provided by X8, X6, X5 and X3 models of AirWheel unicycles. A number of gyroscopes which sense backward and forward movements have been used in AirWheel electric unicycles to design a balancing system. This prevents riders from falling in forwared or backward directions. To move forward, just a little pressure is enough to instruct the machine to do so. And turning is possible by leaning to either side. Novice riders are strongly recommended to use the unicycle in presence of others – and with the help of a family member or a friend if necessary – to prevent dangerous falls or injuries. Low battery protection – the buzzer would beep and all four lights would blink when the level of battery power falls below 15%. Also, in order to force the rider to stop after decelerating, the pedal’s front end would also sink. Speed control – there are two speed limits set for these unicycles: exceeding 12km/h would cause the pedal’s front end to rise gradually whereas after 16km/h there would be a 10° angle between the pedal and the leveling surface. These measures are done in order to prevent further acceleration and prevent speeding related injuries. Tilting protection – the motor would stop immediately when the unicycle tilts to more than 45° sideways. X3 is the first item in the AirWheel X series. On a single charge, X3 electric unicycle could travel up to 6 miles and reach a maximum speed of 12mph. Unfortunately, there is no listing for AirWheel X3 on Amazon website. But users could buy this unicycle from eBay or other local online stores based on their location. With some upgrades over X3, AirWheel X5 and X6 are two models with very similar options and specifications. 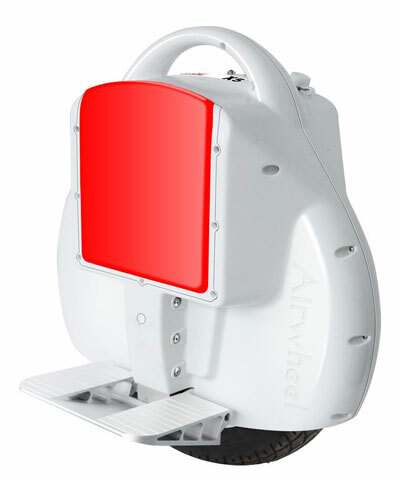 AirWheel X5 and X6 could also be purchased from eBay website or local stores. 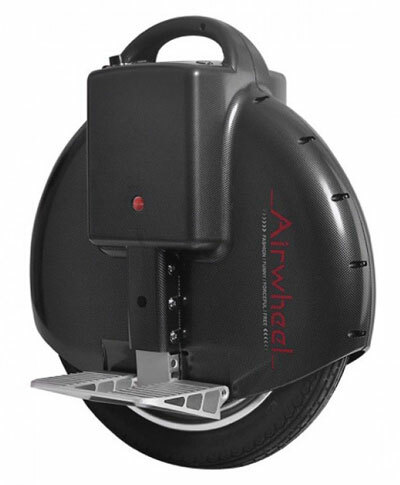 Check out local stores or eBay to get the AirWheel X8 unicycle. 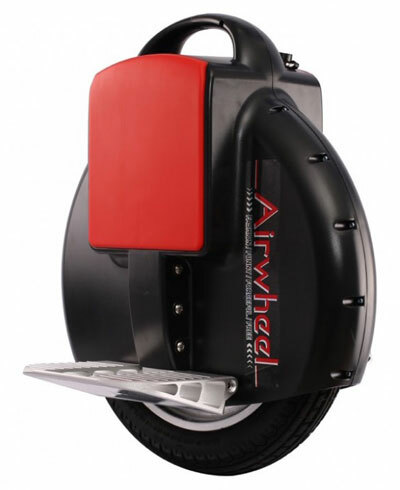 Beginners and those still need help when riding unicycles could benefit a lot from AirWheel Stabilizers. 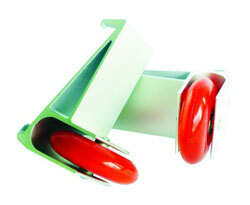 They are easy to attach and prevent the AirWheel from falling right or left. Also, carriying them is not a hassle at all since they weigh just 330g each. AirWheel Stabilizers are compatible with AirWheel Q3 and Q1 models as well, in addition to the X8, X5 and X3 models reviewed in this article. Between uses, AirWheel could be carried securely with a specially designed bag which helps to leave riders’ hands free while the weight is spread over their shoulders. 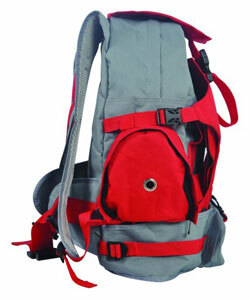 That’s because of the bag’s robust and strong design. More stuff such as notepads, water bottles and even the Stabilizers mentioned earlier could be put in the extra pockets of the bag. The AirWheel carry bag is suitable for AirWheel X8, X5, X3, Q5, Q3 and Q1 unicyles.